Dr Julienne Wickham is a Queensland-trained Fellow of the Royal Australian and New Zealand College of Obstetricians and Gynaecologists. Julienne was born and bred in the Queensland mining town of Mt Isa before completing higher education in Brisbane. Both Julienne and her husband enjoy regional community life and this prompted a decision to relocate to Bundaberg in 2010. 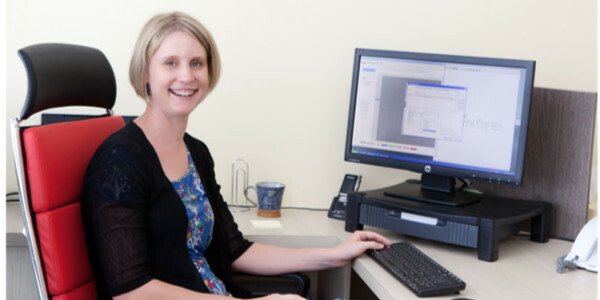 During the next five years they lived intermittently between Bundaberg and Brisbane as Julienne completed her specialty medical training in obstetrics and gynaecology. Along with their two children they’ve made Bundaberg their home. During training, Julienne obtained additional experience in minimally invasive laparoscopic surgery (also known as “keyhole” surgery). Her new practice offers the choice of laparoscopic hysterectomies and endometriosis excisions as well as the more common surgical procedures.